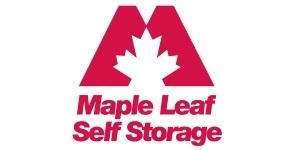 Maple Leaf Self Storage is one of the leading and fastest growing self storage providers in Western Canada. Their storage lockers range in size from 25 to 300 sq.ft. and can be rented on a month-to-month basis. Need storage space? As a Jencor Mortgage client, get 25% off your 1st month’s rent! Offer valid at all Maple Leaf Self Storage locations across Canada.